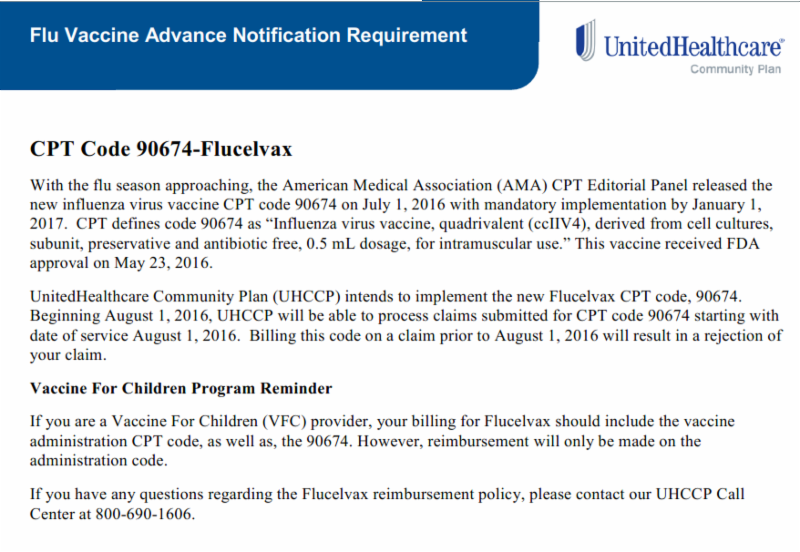 The American Medical Association issued a new Current Procedural Terminology (CPT) code for influenza vaccine Flucelvax, CPT 90674, effective August 1, 2016 for Medicare claims. However, Medicare claims processing systems will not be able to accept the new code until January 1, 2017. Until this time, you may hold claims containing CPT 90674. Finally, if you bill institutional claims, note that code CPT 90674 will be implemented on February 20, 2017. It is that time of year again when many private and public health entities are offering influenza and pneumococcal vaccines in their offices or conducting mass immunization clinics. Palmetto GBA promotes the use of roster billing to providers who do mass immunizations. It is very important with the growing population of Medicare patients electing to join Medicare Advantage (MA) plans that you verify each patient's enrollment in Medicare, whether the person is enrolled in 'traditional' fee-for-service Medicare or an MA plan. We strongly recommend that you question the patient prior to the administration of the vaccine to identify the responsible Medicare plan. Only submit claims to Palmetto GBA for patients that have traditional Medicare. Claims submitted for beneficiaries that are enrolled in an MA plan will be rejected as billing errors. MA enrollees should check with their plan to determine if they are locked in to plan providers for their flu and pneumococcal vaccines. If they are locked in, they may obtain the vaccines from any qualified provider. However, the provider must submit claims to the MA plan and not to Palmetto GBA. affs are aware of these changes.